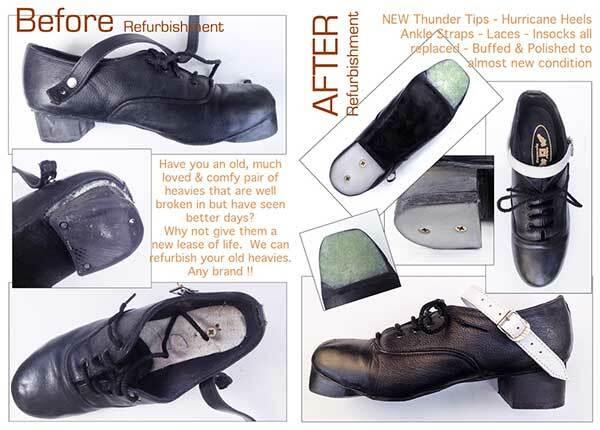 Have an old, loved, broken in pair of Heavy Shoes? Why not have them refurbished. Scroll down for more information. We can replace your old worn tips with our world class Tips and Heels. We have a choice of Standard Hi Density Tips and Heels, our Thunder Tips and Hurricane Heel and our New Super Thunder Tip and Sound Chamber Hurricane Heels. While we have your shoes here, we’ll replace your ankle straps, insocks, heel padding and laces and refinish your shoes to a shine leaving them almost as good as new. All this included in the price even if your only having your Tips replaced or your Heels replaced. 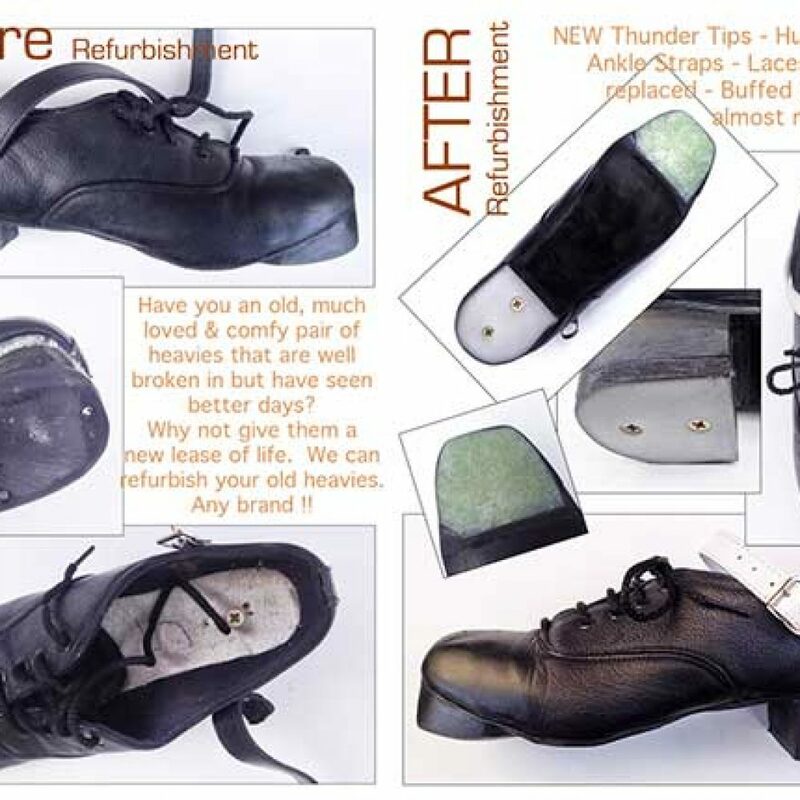 Give your old shoes a new lease of life. Please make your choice below and indicate on the order form your choice of Black or White Straps.